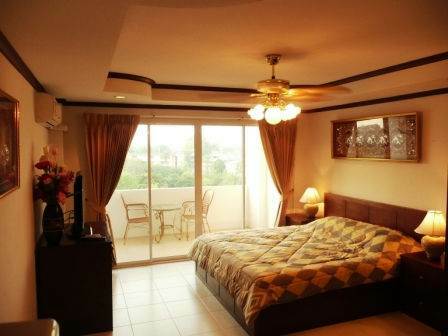 A.D Condominium floor 7 at Wong Amat Beach, Naklua. Studio with bathroom, kitchen, balcony, good sea view. 32 inch LCD TV, DVD player, home theatre. A fully equipped fitted kitchen with granite working surface, 2 hotplates, hood/extractor.